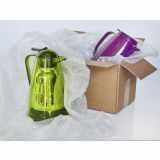 Sealed Air Bubble Wrap® Cushioning Material in Dispenser Box, 3/16" Thick, 12" x 175 ft. Sealed Air Bubble Wrap® Cushioning Material, 3/16" Thick, 12" x 10 ft. 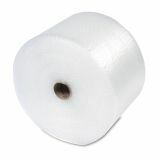 Sealed Air Bubble Wrap® Cushioning Material, 3/16" Thick, 12" x 30 ft. Sealed Air Bubble Wrap® Cushioning Material, 5/16" Thick, 12" x 100 ft. Sealed Air Bubble Wrap® Cushioning Material, 1/2" Thick, 12" x 30 ft. 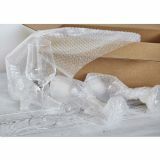 Sealed Air Bubble Wrap® Cushioning Material in Dispenser Box, 3/16" Thick, 12" x 175 ft. - Designed to protect your shipment from damage, lightweight roll of cushioning material offers superior protective qualities without adding postage costs. Bubble Wrap rolls are perforated every 12."